What is the goal of the procedure or document being produced? What are the measurable outcomes being sought? Procedural task analysis – What are the major steps of any procedure involved, if there is one? Information-processing analysis – Are there sets of more complex subtasks that should be defined in the case of any procedure? Learning-task analysis – What are the basic concepts and scaffolding that need to be in place to understand this topic or procedure? SMEs tend to information dump. They are excited to share their expertise! It is your job to capitalize on this excitement! It helps to have a specific series of questions to ask. Even better, design a template in which they can respond. Do your project management estimates on the documentation process. Achieve consensus from SMEs and the organization to adhere to this process. Interview each SME individually, or have each SME submit their approach/view on the topic or procedure. This is done separately, without collaboration. Use your series of questions or the template, whichever is preferred. Submit this document to SMEs for review. Tell them to correct or enrich thus far. This should keep inspiration for new ideas in a more positive slant. Set hard deadlines based on a reasonable turn around – The organization MUST support this without exception. Any SME who is too busy to meet a reasonable turnaround is either not supported by the organization, or the organization is not making this effort a priority. This is not a SME issue; it is an organizational issue and must be addressed. Otherwise, the deadline for the project must be moved back accordingly. Take all the information from this part of the process and create your document as Part I. Capture all the conflicting information into one document. Keep this document and all versions as Part II. Send an email asking everyone to review conflicts and to come back with clarifications and corrections. Move resolved conflicts into the latest version of Part I. Take remaining conflicts, book a meeting, get everyone together, and review the definition of consensus – that everyone can live with AND support the group decision. Resolve conflicts through consensus building. By this point, there should be very few conflicts left to resolve. Write all findings into Part I and named it your final document Version 1. Format it and make it gorgeous. Share with all. Thank everyone. Keep on moving. 1) Technical procedures do not require consensus. If there are multiple correct pathways, they are all be captured. 2) Safety policy, environmental policy, and the parts of any procedures or topics that fall under these governances are NEVER be based on consensus. These areas are regulated by designated national bodies – OSHA, MSHA, NIOSH, EPA, and other governing bodies. Organizations are required to hire or outsource expertise for review in this area. 3) Parts of any procedure or topics that fall under Title VII of the Civil Rights Act of 1964 as they apply to Human Resource mandatory compliance, labor rights, EEOC, and any other similar governing body are NEVER be based on consensus. Organizations are required to hire or outsource expertise for review in this area. Getting involved in any regulatory decision-making outside one’s expertise is not a resume builder; it is a professional and personal liability. Having multiple synchronous meetings is not an esteem building exercise; collaboration is about contribution and consensus. Unproductive synchronous meetings were demanded to make SMEs feel better – which did not work; in fact, it gummed up the process more, as unprofessional behavior was rewarded with negative attention. Significant money saved in time spent on the documentation process. Everyone feels included, and feelings are rarely hurt by the time everyone is in the room together – and even that is rarely needed. 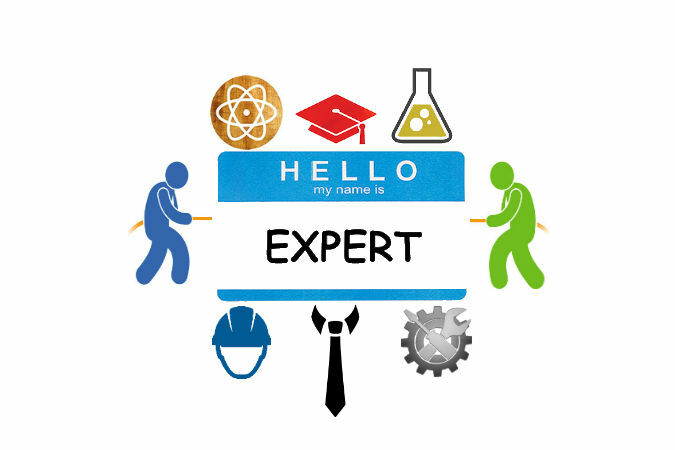 Subject matter expertise and documentation / learning expertise are compartmentalized – and YES, this is a positive thing. Significant risk mitigation as the final documentation and learning will be of sound integrity, unambiguous, and aligned with all regulatory requirements. This will potentially save millions of dollars over time. Standardization of documents and procedures is inherent in the process. In conclusion, work with SMEs for who they are – people with a tremendous level of expertise in their fields. Respect them as such. Use collaboration judiciously – not all collaboration means you are in the same room, hashing things out. Use your expertise as a specialist to facilitate the most effective means of getting the desired outcomes!